All of the focus has been on the recently updated iPad Pro that is akin to being a laptop replacement, but the younger members of the same family haven’t seen any new bells and whistles for some time. 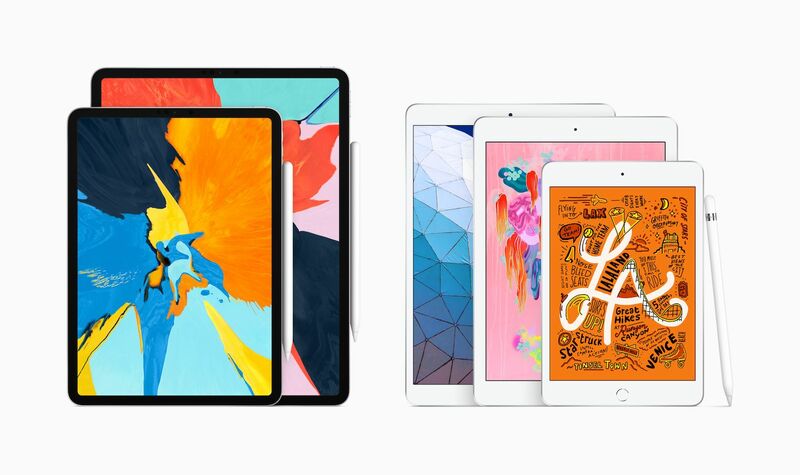 An unannounced downtime of the Apple website and everyone gets the unexpected surprise – an updated iPad Air and iPad Mini with newer specifications that almost match up to the iPhone XS. The look and physical dimensions haven’t received any tweaks, so let’s dive inside the chassis of these updated tablets. What’s new inside the new iPad? Last time the iPad Mini got a bump was in September 2015 and this marks almost four years since it got any love. Don’t forget about the iPad Air, which was replaced by the iPad Pro with the same 10.5-inch screen size. Apple has definitely seen that many still love that product line. You’ve got the power of the A12 Bionic SoC, which is same chipset used inside the iPhone XS and XS Max to provide the performance leap. Leave your dongle adapters behind if you use headphones, as you’ll easily spot a headphone jack at the top. A worthwhile addition for both models is support for the first-generation Apple Pencil, which will greatly help those who have seen its support restricted only to the mid to high-end versions. If you’ve waited this long, you’d expect that the display would get an upgrade and it doesn’t disappoint. An advanced Retina display with True Tone technology ensures that it still can hold its ground alongside the beefier models. If you were expecting Apple to completely eliminate Touch ID, you’re wrong. Looks like it’ll be staying around even longer. Best news with these improvements is that the starting price remains unchanged. You can select either 64GB and 256GB with three colours: Silver, Space Gray, and Gold. If you want WiFi only or WiFi + Cellular, those options are staying as well.